Hello friends! 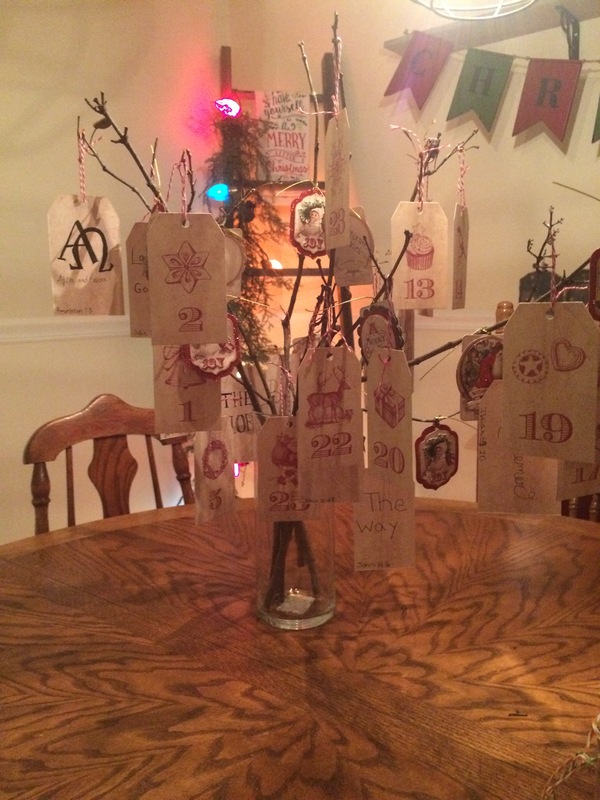 This morning I am working on our Advent tree. 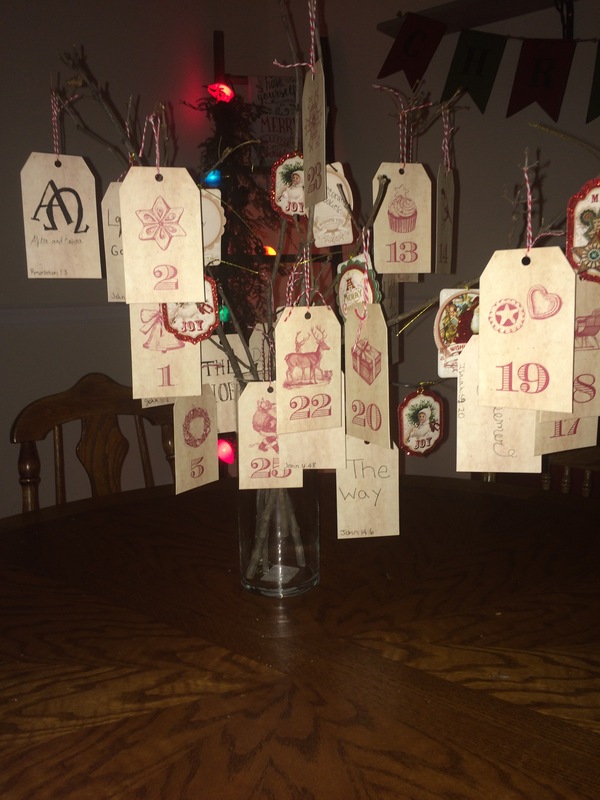 I bought these cute countdown tags from Michaels. 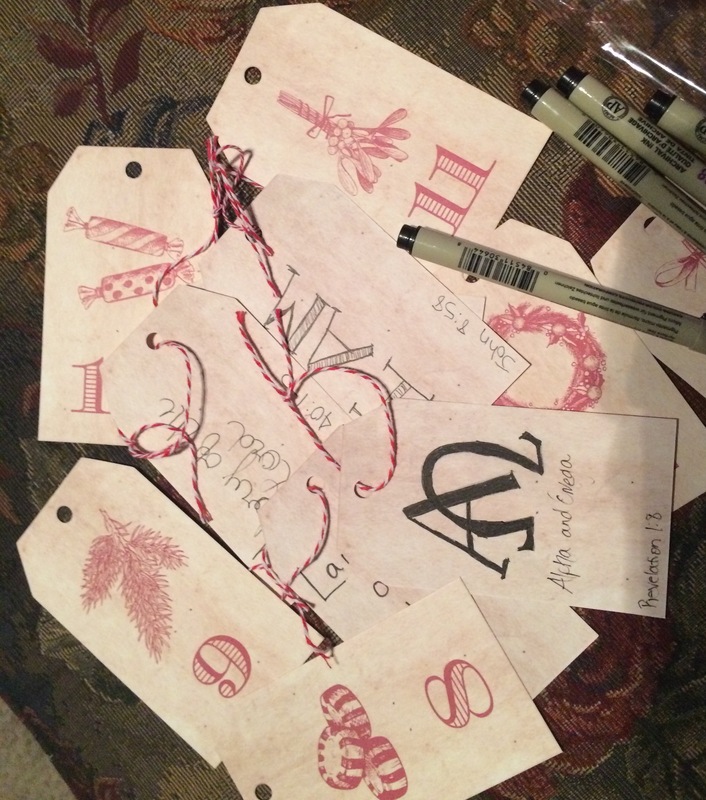 On the tags I am writing names of Jesus with scripture references. I couldn’t get a great photo, so I’m showing a couple of my shots. I’m praying that all of us are able to refocus and realign ourselves with Jesus during this Christmas season. Gifts are good, but shouldn’t be what our focus is on. Jesus is the greatest Gift and the one we should be excited to boast about. Love this! I need to get our advent ready today as well. We do something similar to focus on our Savior, and I agree, the activities we share together as a family through the Christmas season are priceless gifts. Enjoy and savor your family! Merry Christmas! I saw your first tag on Instagram. I love this idea! I will definitely do this in years to come when my baby gets older. 😊 Thanks for sharing! I look forward to seeing the rest of your tags. That’s great! I’m so happy you saw it! Thanks for stopping by! Merry Christmas!